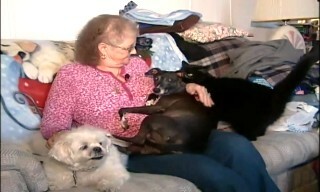 OLDSMAR -- A woman from Oldsmar is suing her homeowner's association in order to keep her pets. Kathleen Klein says she has a prescription for the animals and doesn't want to get rid of them. Klein suffers from heart and blood conditions and fibromyalgia and says her animals are more than just companions. "As I pet them and take care of them my blood pressure goes down, it drops quite a few points," Klein said. Klein says she was upset when her homeowner's association warned her she was violating the one-pet policy. She says she disclosed her pet ownership when she moved in to Gull Aire Village 10 years ago, and wasn't confronted about it until recently. "They told me I could only have one animal," said Klein. "Either I and the whole household have to leave, or I have to get rid of two of my animals." After facing numerous fines, she hired attorney John Shahan to sue the association. "She medically is allowed to have those animals under federal law," said Shahan. "And that whatever the one-pet policy is, these are not quote 'pets,' they are medical-assistance animals and federal case law, tons of federal case law, shows that they have to waive that rule." 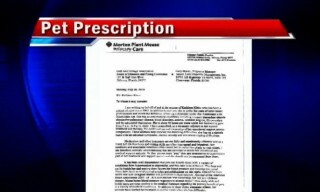 Klein has a letter from her doctor defending her pet prescription. In a letter from Dr. Danny Fox, he states, "As they are not mere 'pets,' they are intended to be a permanent part of her treatment and support system and they should not be separated from them." Klein says she doesn't want to get rid of her pets and doesn't really want to move, but she is selling her home. "If I didn't have my pets, I'd be in bed with depression, probably crying, very upset," she said. The homeowner's association's attorney says since the case is pending litigation, he would not comment.